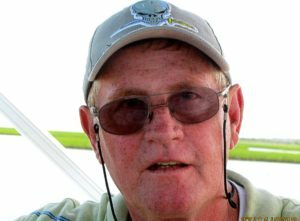 Four Oaks- Elwood Franklin “Frankie” Tyndall, age 63, died Thursday, April 12, 2018 at his home. Born August 21, 1954 in Petersburg, VA he was a son of the late Elwood and Jessie Mae Jones Tyndall, Jr. He was preceded in death by a sister, Linda Faye Cook. Frankie was a loving husband, father, grandfather, sibling, and friend. He never met a stranger and was always ready and willing to help as needed. He will leave treasured memories with all who knew him. Funeral services will be conducted at 2:00 p.m. Monday, April 16, 2018 in the chapel of Parrish Funeral Home with Rev. David Sutphin and Mr. Perry Benson officiating. Entombment with military honors will follow in Selma Memorial Gardens. The family will receive friends from 4:00 – 7:00 p.m. Sunday evening at the funeral home. Surviving are his wife of 21 years, Susan Johnson Tyndall of the home; son, Wesley Raynor and Jessica of Surf City; daughters, Angie Tyndall and wife Shelby Tyndall of Winnabow, Tonya Tyndall of Black Mountain, and Pamela Raynor of Smithfield; brothers, Thomas Tyndall of Princeton, Donald Ray Tyndall of Selma, and Billy Ray Tyndall of Garner; sisters, Mary Helen Shallington of Smithfield, Louise Moore and husband Gene of Smithfield, and Rose Blackwell and husband Bobby of Micro; and grandchildren, Wendy Barbour, Caitlyn Raynor, Magan Raynor, and Dillon Renfrow. Flowers are appreciated or memorial contributions may be sent to the ALS Association North Carolina Chapter, 4 N. Blount Street Suite 200, Raleigh, NC 27601.